One of Gigi's French friends is at our house for snack time. When her mother picks her up, she excitedly tells her that we served her bread -- with butter! She raves about what a great idea this is. It is still funny to me, even after all this time, that in France bread and butter don't go together like, well, bread and butter. That seems like a shame to me, because French butter is -- not to sound too much like a Francophile -- simply better than American butter. It's not just my imagination, either; there are real differences. First of all, French butter has a higher fat and lower water content. That means it's creamier, richer, more unctuous. It doesn't just feel different in the mouth, it also spreads and cooks differently (hence, the best chocolate chip cookies I've ever baked). 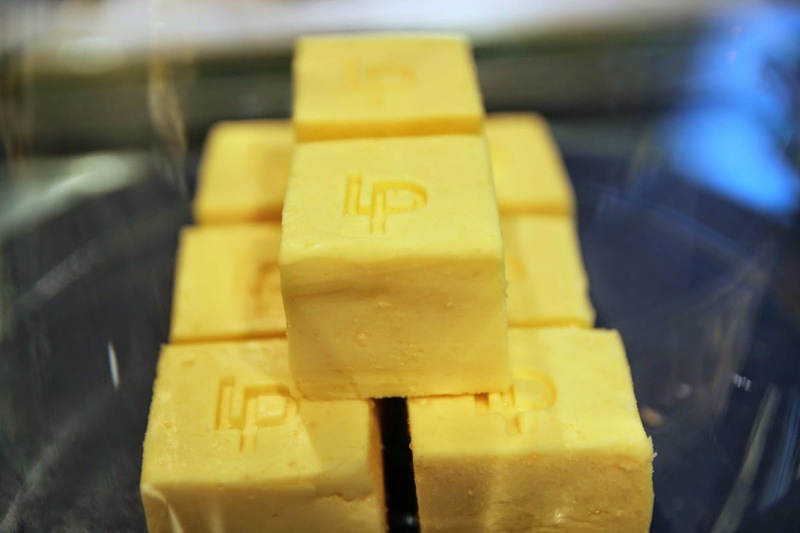 American butter must be 80% butterfat while French butter is at least 82%, and some of the most elite butters are 83 or 84% (although apparently, there are some uber-high-end butters in the US now doing that also). And it's not only about the fat. 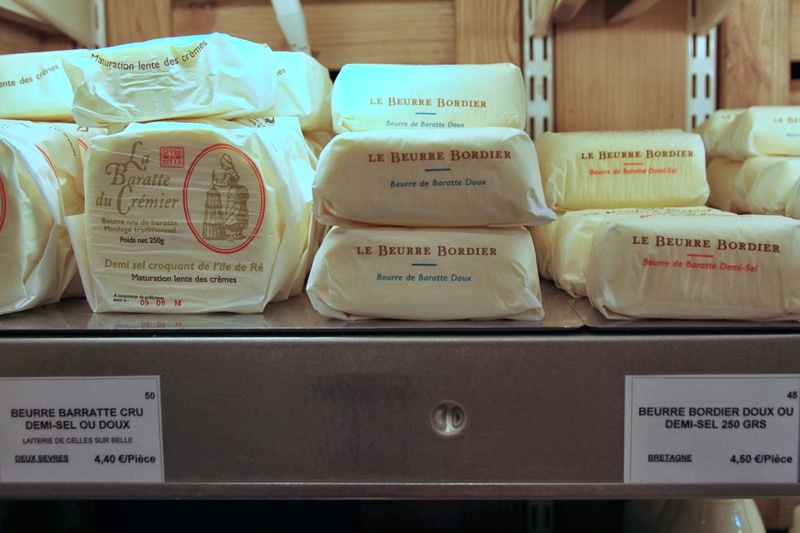 The most famous of the elite French butters is Le Beurre Bordier or Echire, and they're both delicious. They're worthy. But are they the best? I don't think so. Check out these butters: La Baratte du Crémier and Ponclet, both of which are made of raw butter, aged. Whereas Le Beurre Bordier and Echire pasteurize (at low temperatures, but still) their milk. American butter is churned and packaged as quickly as possible and labeled "Sweet Cream". Fresh! Fresh sounds good, right? Well the French cream is set aside and cultured, developing flavor and tang. Right about now, "fresh" sounds like a synonym for "bland", doesn't it? And to add insult to injury, the cream comes from the milk of cows, usually very local, who graze on pasture. You know those commercials with the so-called "Happy Cows"? These French cows look like they are really living the good life. And the taste of the butter reflects that. The wrapper of La Baratte du Crémier boasts "slow maturation of the creams" -- unpasteurized cows' milk cream -- and it shows. It's just like silky heaven, melting on my tongue. We genuinely can't figure out if we should be eating more cheese at our cheese party, or more butter. It gets gasps of appreciation from the table. And yes, I serve it the only way butter should ever be served: room temperature and soft. Don't even get me started on cold, hard butter. We buy "demi-sel", which means "half-salt". It's not salted to lower the butterfat content (which can happen), nor is it salted to hide rancid milk or preserve milk longer (it won't last longer than about 12 seconds on my table, anyway). 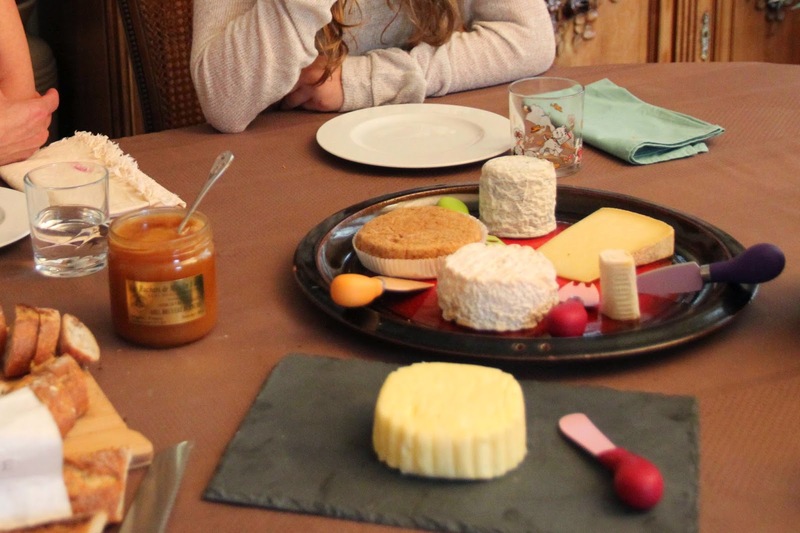 It's got large, crunchy salt crystals harvested from Ile de Ré that enhance the flavor, texture, and general bread-and-butter-eating experience. No, at 4.5€ a pop, this is not my normal butter. And I don't bake with it (what a waste!). I struggle with whether or not I can dedicate a posting to butter. Is that cheating? But in the end, I realize that I accidentally posted two stories -- with two different stories and cheeses (want to know more about Star Wars and fast food? Or tortured franglais?) -- on one day back in January. So, I feel I can allow myself this one day's slight diversion without ruining my self-proclaimed mandate for 365 cheeses in one year. So though I could have picked a buttery cheese, I decide it's even more appropriate to pick (and buy and eat) this heavenly butter for a story on both butter and butter-and-bread, because the story and La Baratte du Crémier go together like...I know you see it coming...bread and butter.